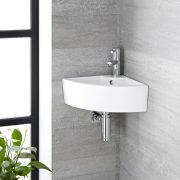 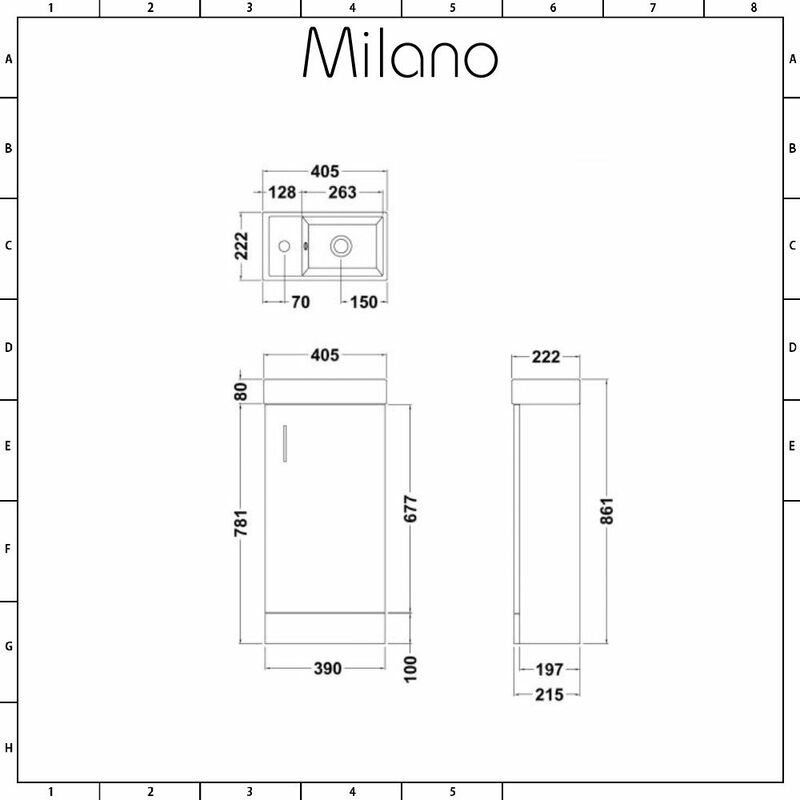 Introduce a contemporary look to your small bathroom or cloakroom with the floor-standing Milano Minimalist 400mm vanity unit and basin. 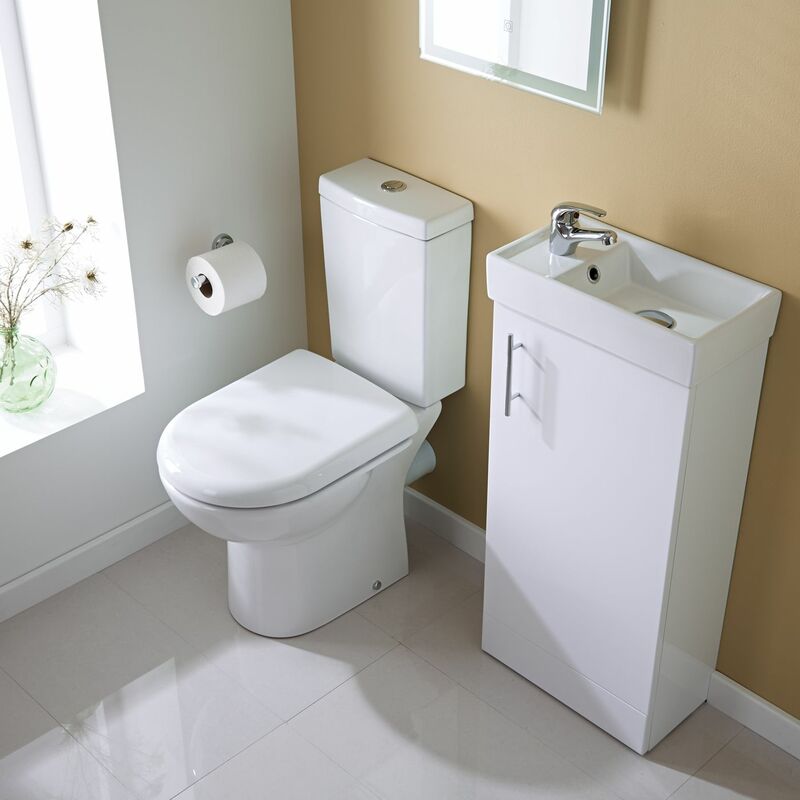 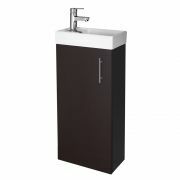 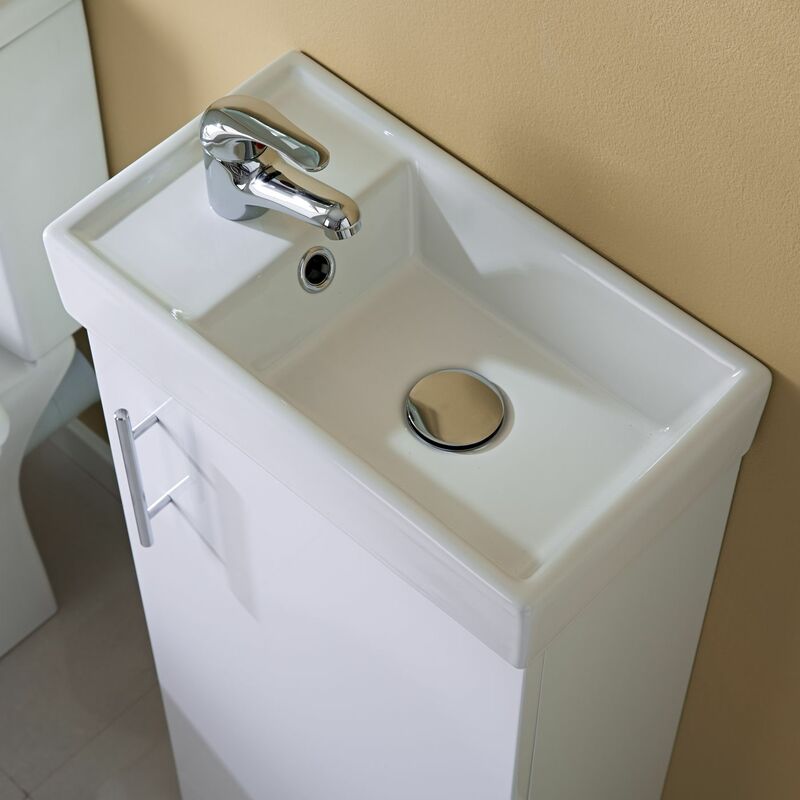 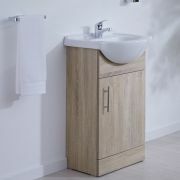 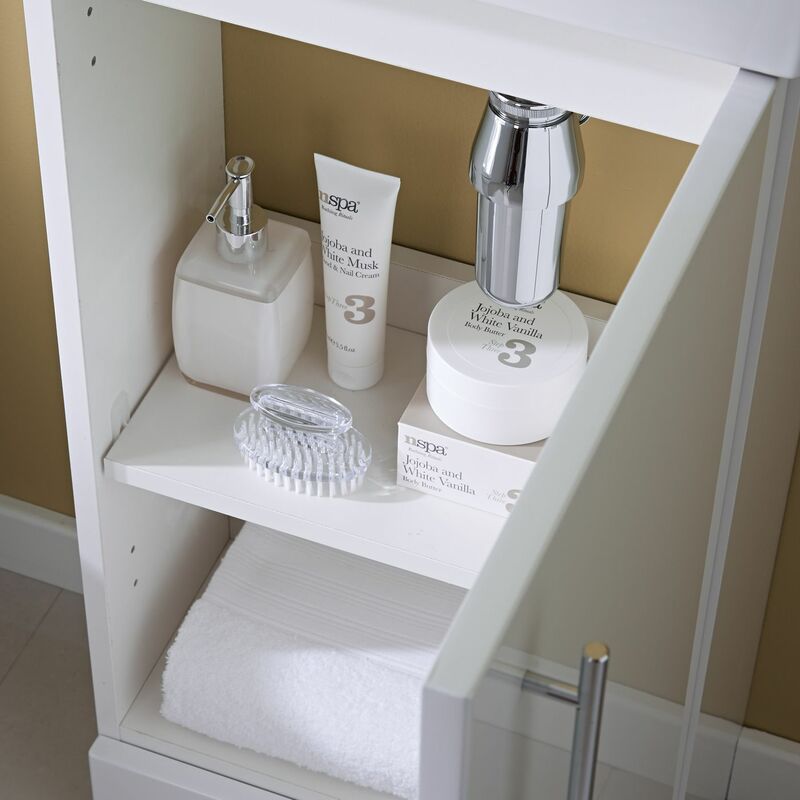 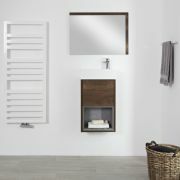 The space-saving design includes a cupboard with an integral shelf to store your toiletries and a reversible door fitted with a chrome handle. 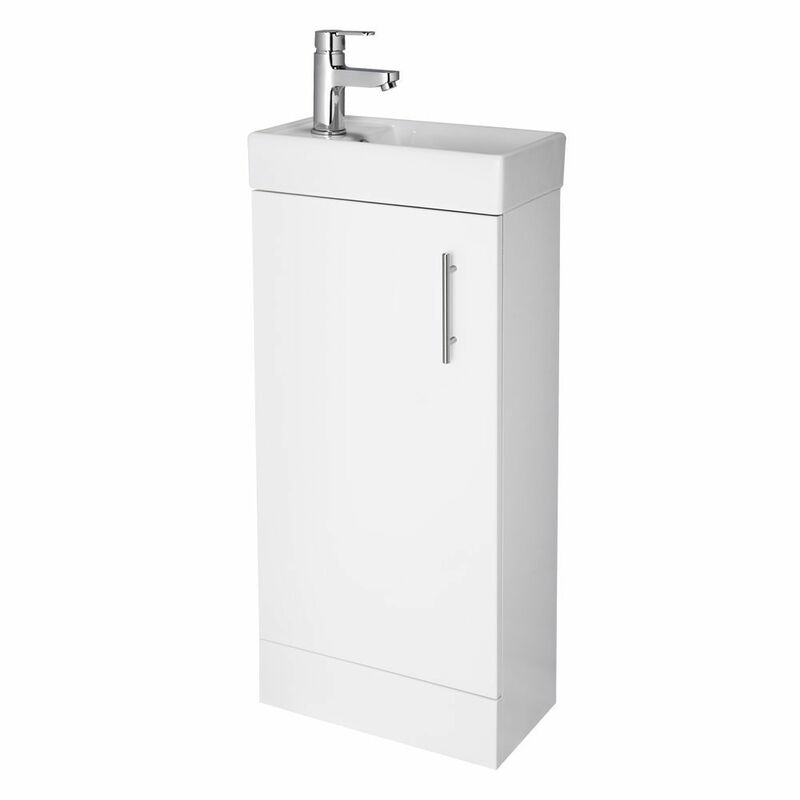 Made from moisture resistant engineered wood to ensure strength and long-lasting durability, the Minimalist vanity unit features a modern gloss white finish to make it really eye-catching. 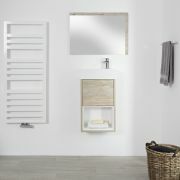 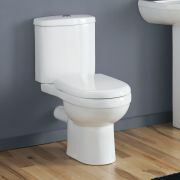 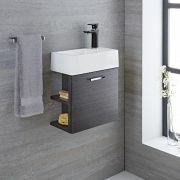 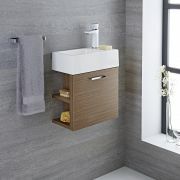 The look is completed with an easy to clean high quality ceramic basin that is reversible. 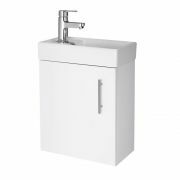 The basin includes a single tap-hole, allowing you the chance to pick the mono tap of your choice to complete the effect.